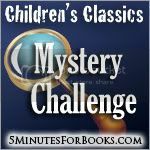 In the meantime, we've got a challenge to wrap up and to do so, I read Nancy's Mysterious Letter (1932 ed.) If you recall, I prefer the original 1930's version of Nancy to the 1950's (and subsequent) remakes. Admittedly, it's a little more difficult to locate a 1930's edition, but if you ever happen to find one - PICK IT UP! They are awesome! 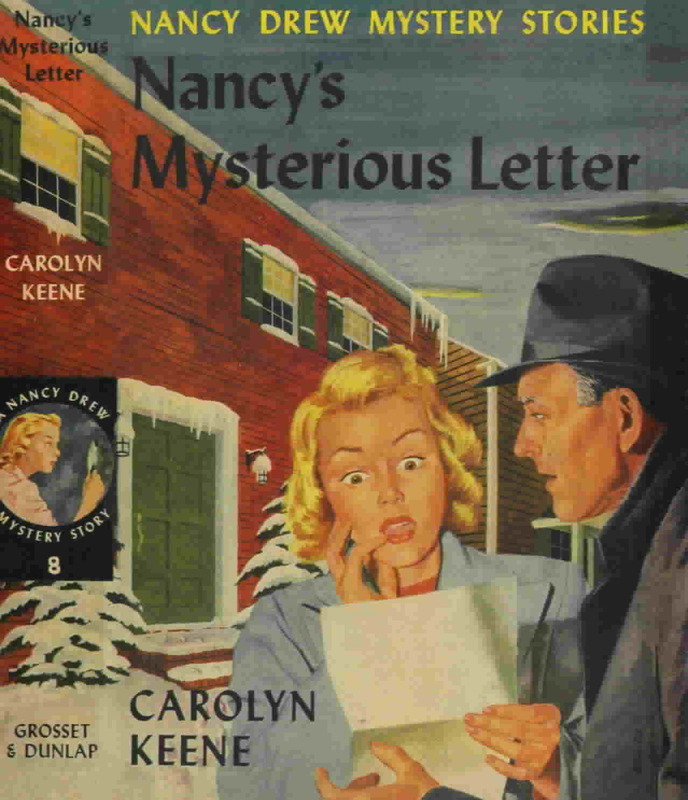 As you are likely aware, the Nancy Drew series was penned by many different authors who all used the pen name Carolyn Keene. The original book 8, Nancy's Mysterious Letter, was penned by journalist Walter Karig (who was also a World War I vet.) Karig wrote books 8-10 but fell out favor with the Syndicate when he revealed the fact that he had ghost written these titles. After he revealed himself and incurred the wrath of said Syndicate, Mildred A. Birt Wilson - who had authored the first 7 books in the series - was rehired to continue writing about Nancy. (Wilson apparently had decided to stop writing after the 7th book, The Clue in the Diary, because of pay cuts during The Great Depression. I guess she changed her mind about the money.) Unfortunately, I only own a handful of 1930's editions and of the ones written by Karig, Nancy's Mysterious Letter is the only one of his that I have. After re-reading this copy, I now will be on the lookout for books 9 and 10! Karig has a knack for writing believable conversation. There was more wit and humor in this book than I ever remember Nancy possessing before. The story flowed nicely and I thoroughly enjoyed the book! In this version of the story, Nancy is concerned with helping her postman, Mr. Dixon, discover who stole his mailbag when he had made a brief stop inside the Drew home. Mr. Dixon had been serving the Drew community for a number of years and was approaching an early retirement after discovering that he was to be the recipient of an inheritance. He decided to retire from the postal service and raise guinea pigs. (Insert Carrie's laughter.) Nancy, the ever helpful, ever kind and benevolent recipient of all his kind mailman responsibilities, invites him into her home for a cookie and a thank-you for all his hard work. When he comes inside her house (handing her a "mysterious letter" from England in doing so! ), his mailbag is stolen from her front porch. "I suppose you don't know much about guinea pigs," Dixon smiled, turning to George and Bess. "Funny thing, they aren't pigs and don't come from Guinea either. I suppose you know that if you pick one up by the tail his eyes will drop out." "Oh, how awful!" Bess cried. "Please don't try it with any of yours, Mr. Dixon." Makes you wonder what kind of exotic animal a guinea pig was back in the 1930's, huh? 2. The fact that the post master, Mr. Cutter, was so angry at Dixon for losing his mailbox (even though it was stolen) that he threatened jail time. "Do you want this old bird run in, Chief?" "No, he's under bond and Uncle Sam will keep an eye on him," Cutter said. As a book reviewer, I found this highly entertaining and hilarious! How many times do books get lost in the mail? Those of you who make a habit of reviewing books and receive copies for consideration in the mail - exactly how many times have you had to follow up with a publisher to say that you never received the book in question!? I've had to do it a WHOLE HEAPING LOT! #3 - They used a larger vocabulary in the 1930's than they do now. I actually had to look up the definition of the word "bumptious" when reading this book. In case you were wondering - bumptious means "offensively self-assertive or conceited." It sounds offensive and conceited to use the word 'bumptious'. But I'm awfully tempted to incorporate it into my vocabulary. I can already think of plenty of ways to use it. #4 - The fact that postmen were so very friendly and took the time of day to tell you how a letter would travel from River Heights all the way to England. #5 - The fact that ladies will wore hats. Nancy, of course, knows just how to select one! #6 - The fact that young men who wanted to date young women knew their place with the girl's parents. Permission had to be requested before a man could just cart a girl off some place! High praise indeed! Ned and Nancy should take heart! There are plenty of reasons to admire a decade long past, and these are just a few that I find smile-worthy. Really, I rather thoroughly enjoyed myself! If you'd like to learn more about Nancy, you can click here to read the History of Nancy. Also, Deborah of Books, Movies, and Chinese Food is hosting a Nancy Drew Challenge throughout this year. You may yet see some Nancy Drew posts pop up here from time to time over the course of the next six months. Ten books total. A nice even number that Mr. Monk would be proud of! ;) (Well, I suppose Nancy's Mysterious Letter makes it 11 so I've ruined it.) Ah well! I'll just have to keep reading to round that number off again! I forgot this ended this month. What a fun review! I've been too busy this last month to do much reading to I won't be participating but it sure was fun the other months! Great post, Carrie! I really enjoyed the challenge and can't wait to see what's coming next!